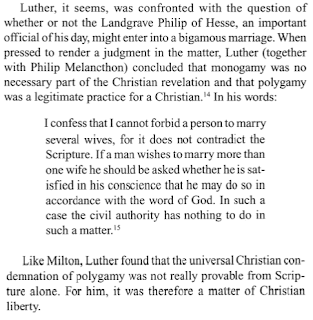 Beggars All: Reformation And Apologetics: Luther: "I confess that I cannot forbid a person to marry several wives, for it does not contradict the Scripture"
So he did say it. 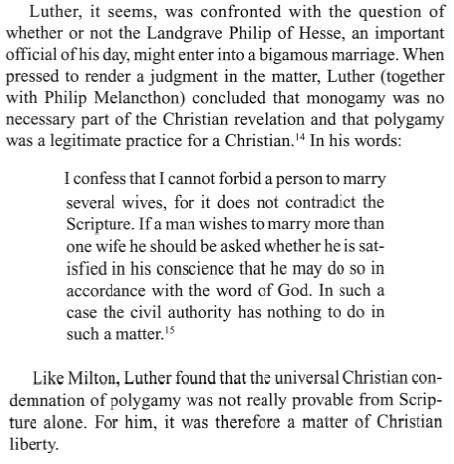 Luther is clearly not any good at interpreting Scripture. Why would Jesus say that If you divorce your wife for any reason other than that she commits fornication, and you marry another, you commit adultery, if it is OK to have more than one wife? Fact is, if its OK to have more than one, you keep the first one and marry the second one too, right? The fact that Jesus presupposes you must divorce the first to marry the second shows that he condemns polygamy! 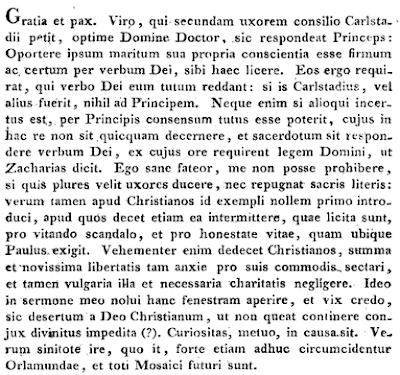 Not wonder Luther thought Paul taught 'faith only' when he really taught 'faith that works by love.' What an idiot. He couldn't even read. A Catholic really should not waste his time anwering Protestants who must know, within themselves, that they are defending a lie. 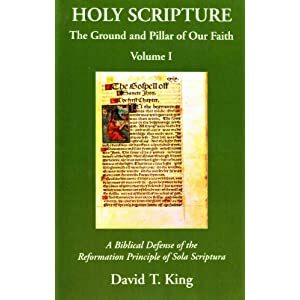 They must also resolve within Protestantism, what it means to be Christian. Do you even bother to read what I've written before you post comments? I don't think you do. I'm a bit fed up with the inability by many who comment here to actually read with comprehension. I'm not defending Luther's view, had you actually read the blog entry, you'd grip that. The majority of my posts on Luther have nothing to do with whether or not I even agree with him. Rather, they simply focus on the fact that Roman Catholic apologists have a tough time when they go "deep into history." The reason for the tough time, is because everything must be interpreted through a faulty worldview. Hopefully that will clear up that issue a bit. Between us, James' post clears things up but judging by the Catholic comments here, I am not hopeful. Roman fanaticism is very hard to cure. "The fact that Jesus presupposes you must divorce the first to marry the second shows that he condemns polygamy!" How is this a logical connection? Simply because a first century Jew may have thought this way, only means that they thought this way. Jesus was arguing from the position that simply because a man gets a divorce doesn't make it right. Now Jesus does offer how marriage ought to be. However, again, He is positively arguing against divorce. Where does Jesus condemn David for having more than one wife? Where does Jesus condemn polygamy throughout the old testament? I agree that polygamy is wrong. I think Jesus implies it is wrong since it does not follow the created order from Genesis that He cites. Nevertheless, it has been tolerated. From my reading the quote, this seems to be what Luther is saying. Can't speak for everyone else here, but I rarely use the label "Evangelical" of myself anymore. Just FYI. Thank you for your work on this Br. Swan. It helped provide a fuller and balanced description to a WP article on Polygamy in Christianity . By the way, your link doesn't work. Before it was all about sanction with no context or much balance.